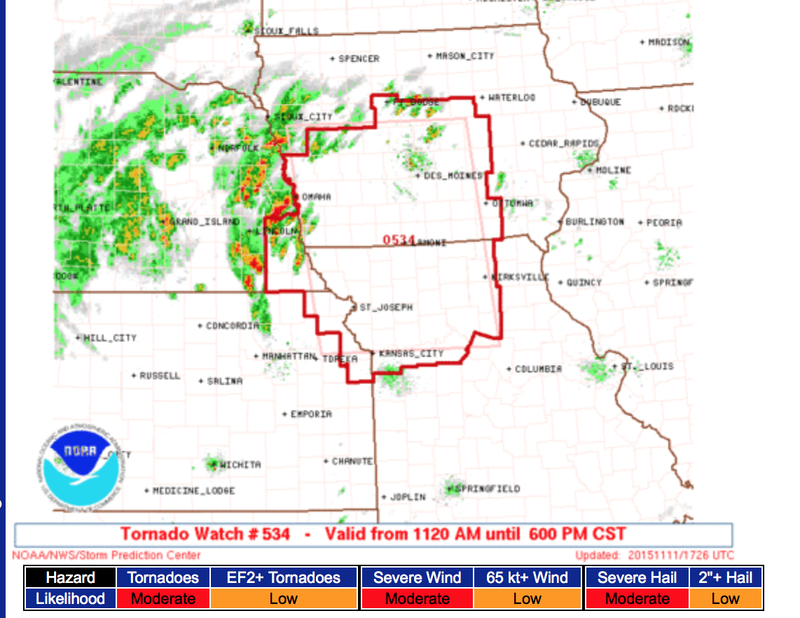 A tornado watch is now in effect until 6pm for the area outlined in red. 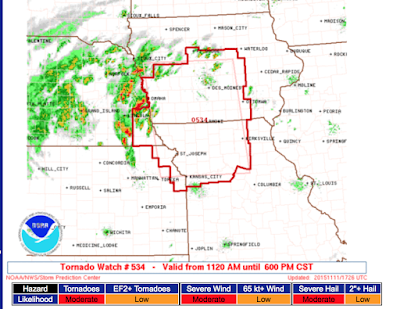 It includes Kansas City and Des Moines. 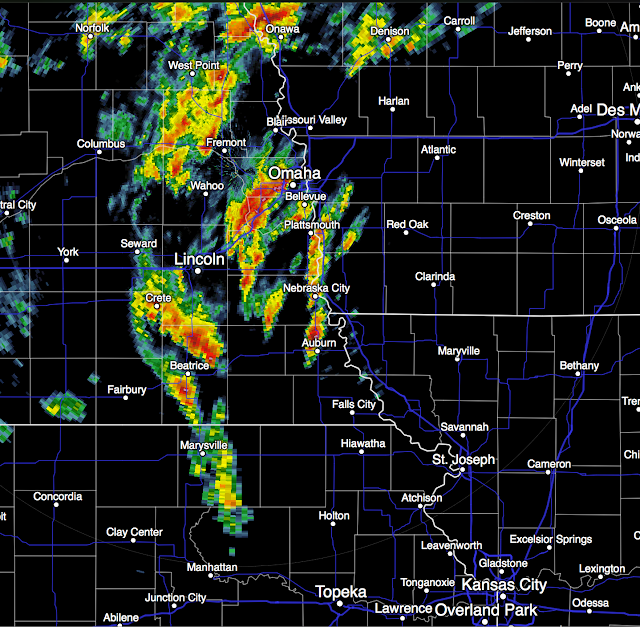 The radar at 11:27am shows strong storms already from Ozawa to Omaha to Wamego (Kansas, not on map). The storms are moving rapidly north northeast. School officials: There is a serious lightning threat with these storms.